Our Heritage is a raw and extremely charged stage work, the core of which being the human body and voice. The piece concentrates on age-old motherhood, its power and weakness, animalism and carnality. This is not a story about the motherhood of today – how to combine work and family in everyday life – nor is it about being a victim, drowning in nappies, struggling with relationships. It is a primitive shout-out to our foremothers, not forgetting the power and strength of motherhood. We have stopped at the crossroads of past and present. There is a lot of talk about paternal legacy. But what do we, women, carry in our bodies and move forward to our children? Who owns the memories we carry unknowingly, and how do they affect the following generations? The team has been studying the history of motherhood through literature, fine arts and academic research. They have also interviewed their mothers and grandmothers. The background themes of the music are in Finnish tradition, combining it boldly to the electric soundscapes of the present day. 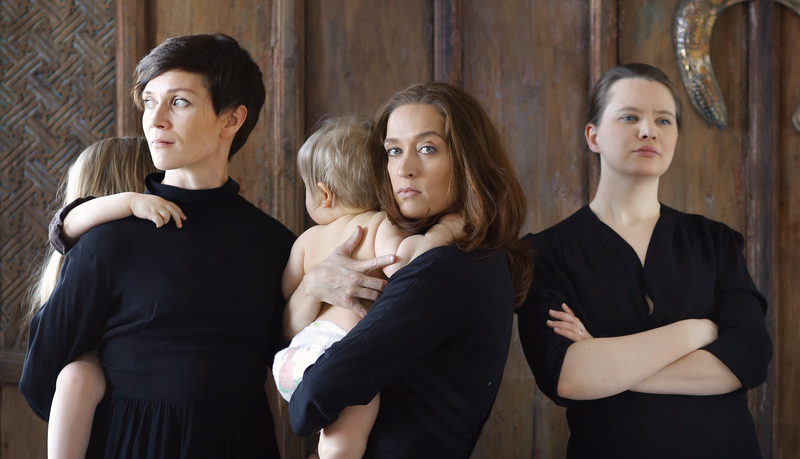 It is a multidisclipinary stage work, using sound, song, dance and spoken text to discuss taboos about motherhood.